A unique collection of 63 TGF-beta/Smad inhibitors for high throughput screening (HTS) and high content screening (HCS). • Science . 2017 Dec 1;358(6367). • Cell . 2018 Jul 26;174(3):636-648.e18. • Bone Res . 2019 Mar 6;7:8. • Dev Cell . 2016 Oct 24;39(2):239-253. • Cancer Res . 2015 Nov 1;75(21):4538-47. • Biomaterials . 2018 Dec 6;193:30-46. • Cell Rep . 2019 Feb 12;26(7):1709-1717.e3. • Cell Rep . 2019 Jan 8;26(2):407-414.e5. • Cell Rep . 2017 Aug 29;20(9):2227-2237. • J Autoimmun . 2018 May;89:125-138. 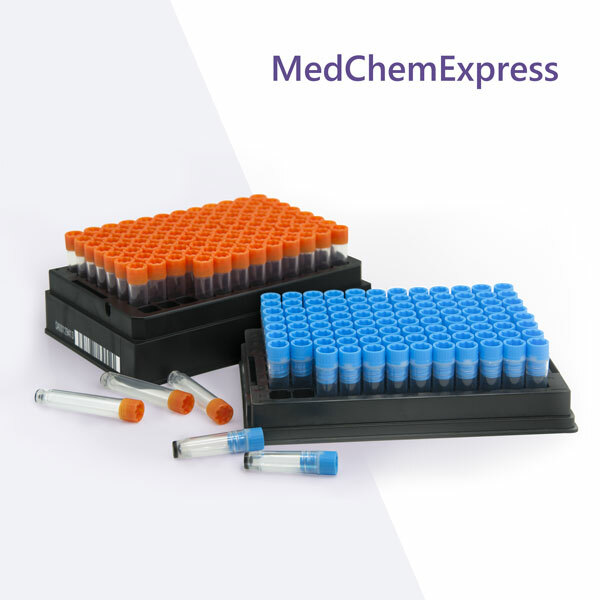 • A unique collection of 63 TGF-beta/Smad inhibitors for high throughput screening (HTS) and high content screening (HCS). • Targets include PKC, ROCK, TGF-beta/Smad, and TGF-β Receptor. • A useful tool for researching TGF-beta/Smad-related regulation and diseases. • Bioactivity and safety confirmed by preclinical research and clinical trials. Some inhibitors have been approved by FDA. • More detailed compound information with structure, IC50, and brief introduction.